What's with Netflix and all these A Quiet Place knockoffs? Bird Box may have turned out pretty great and one of the network's most watched movies, but it skews a little familiar to John Krasinski's hit horror. Now they've got another with The Silence, but with a cast that includes Stanley Tucci and Chilling Adventures of Sabrina's Kierna Shipka, it should be able to stand on its own. In short, The Silence is another movie about people terrorized by flying creatures that hunt by sound. Shipka plays a teen who....is deaf....huh, yeah, that really does sound familiar. 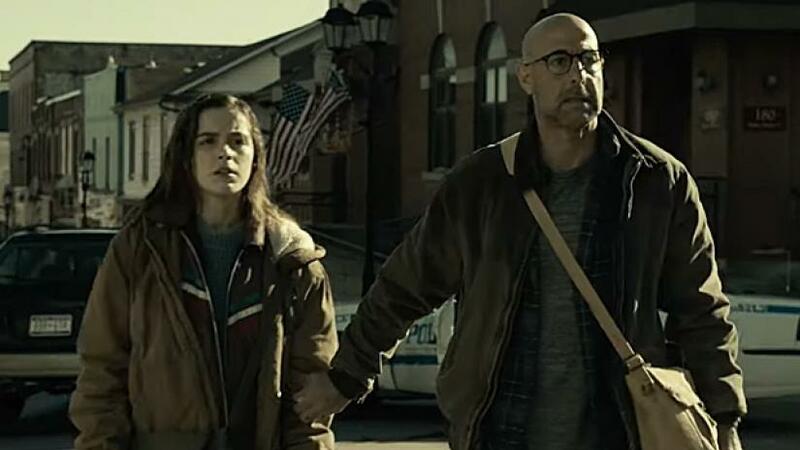 It ends there, though, as one thing A Quiet Place doesn't have is a cult looking to exploit the girl's other heightened senses. Whoa. The film is directed by John R. Leonetti, best known for directing The Conjuring spinoff, Annabelle. Also in the cast are Shipka's Chilling Adventures co-star Miranda Otto, John Corbett, Kate Trotter, and Kyle Breitkopf. The Silence hits Netflix on April 10th.